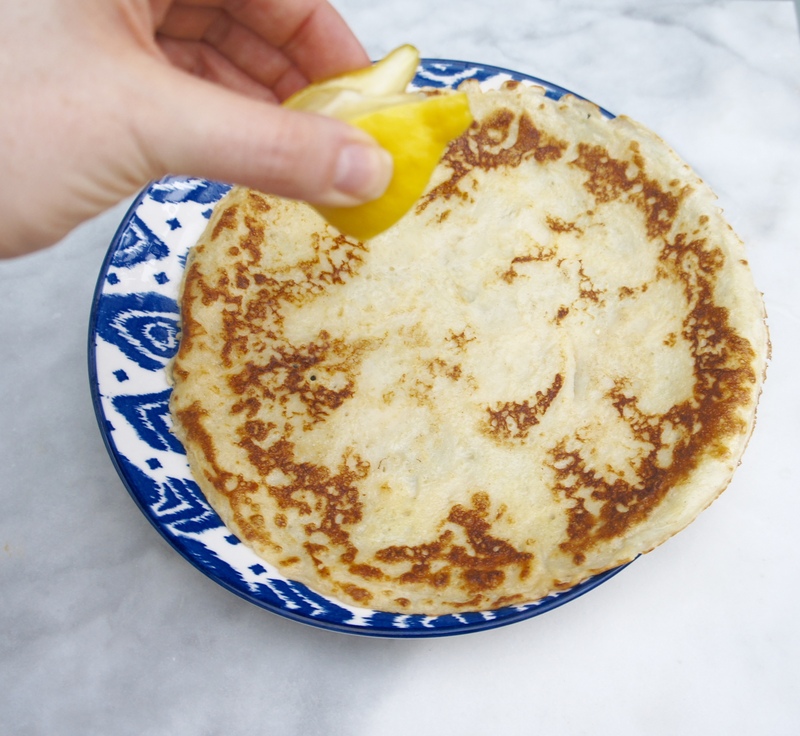 I take Pancake Tuesday VERY seriously and a pancake day missed is a travesty, so just incase anyone was unaware, consider yourself informed – It’s today! The store bought reheatable ones are, in my book, the stuff of nightmares! 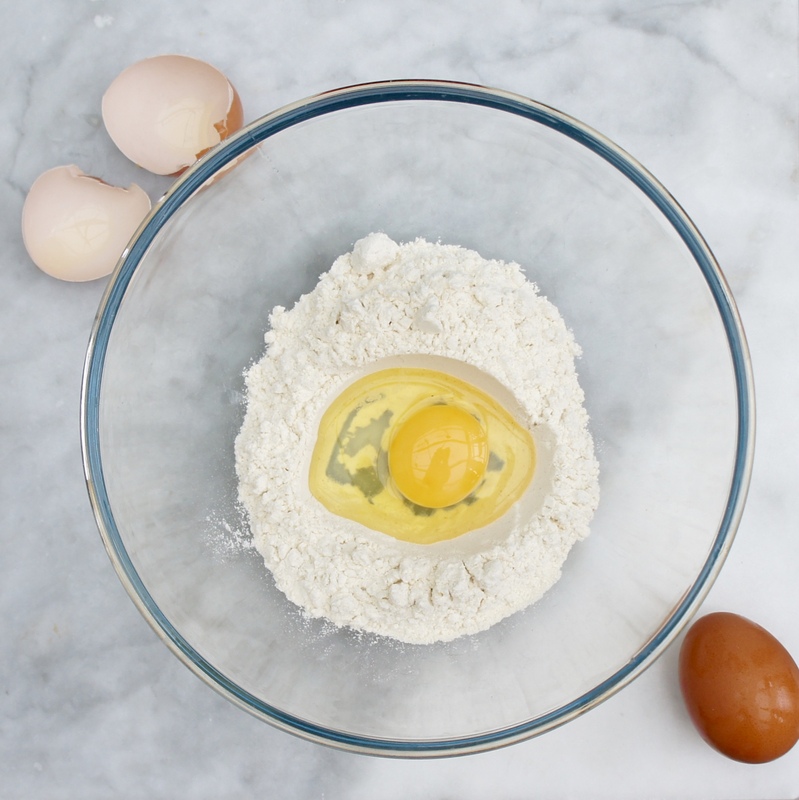 So please, just don’t, honestly they’re so simple to make, follow my recipe and you’ll be calling yourself a Pancake making GOD later – or someone else will, which is even better! 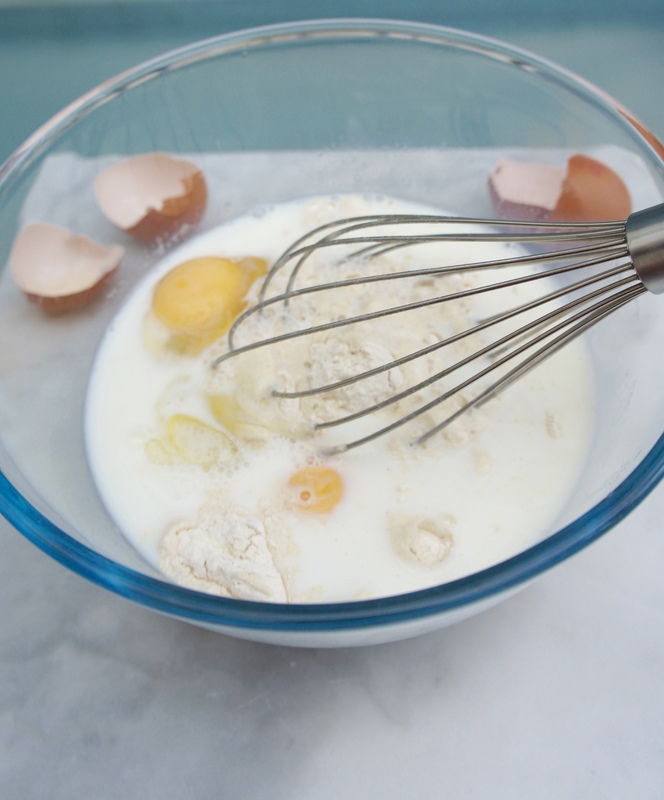 Place flour, eggs and milk in a large bowl and whisk until smooth. Use straight away if pressed for time, or, leave in the fridge for a couple of hours. My taste preference is definitely to leave the batter settle for awhile before using. 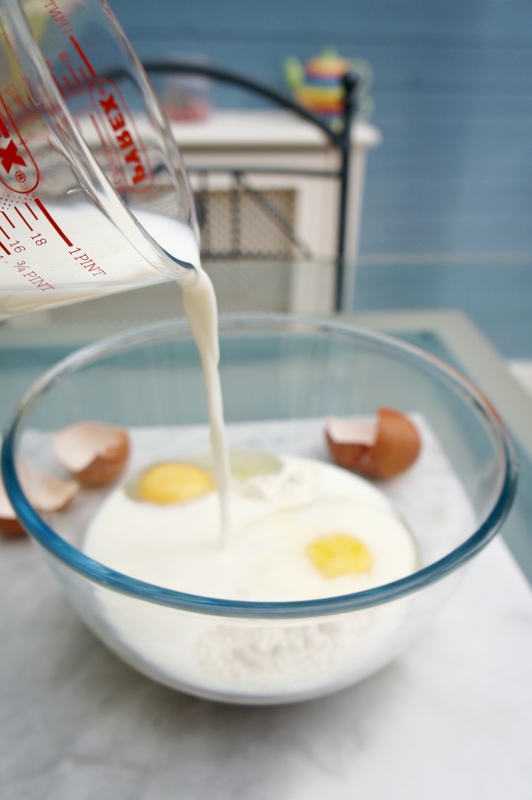 Tip: if it thickens while in the fridge, don’t panic, just add a little more milk to loosen it up again before using. 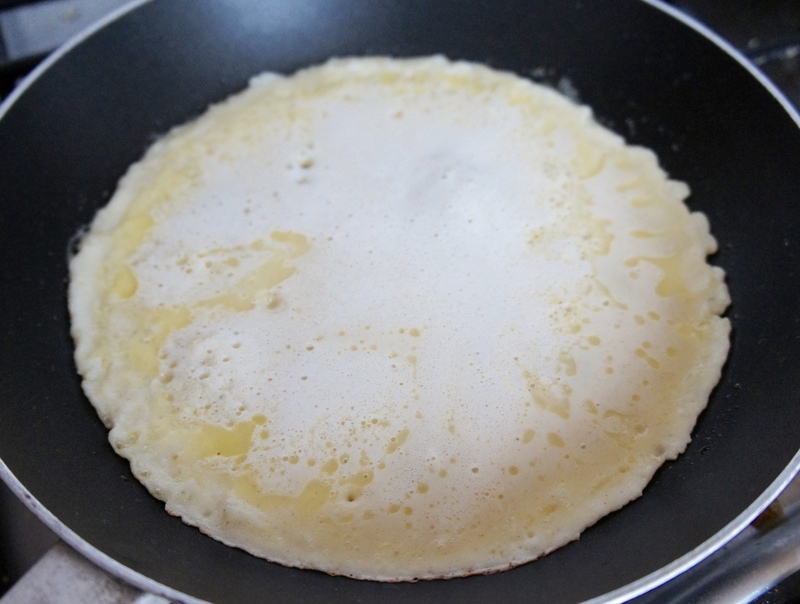 Set you crêpe pan or medium sized pan on the hob and let it get nice and hot, once ready, place a tab of butter on it and grease well, be quick so you don’t let the butter burn. Measure out your batter, I use a small antique teacup for doling out portions but a single ladle should suffice for most pans. Whoosh the batter around quickly until the bottom of the pan is completely covered. 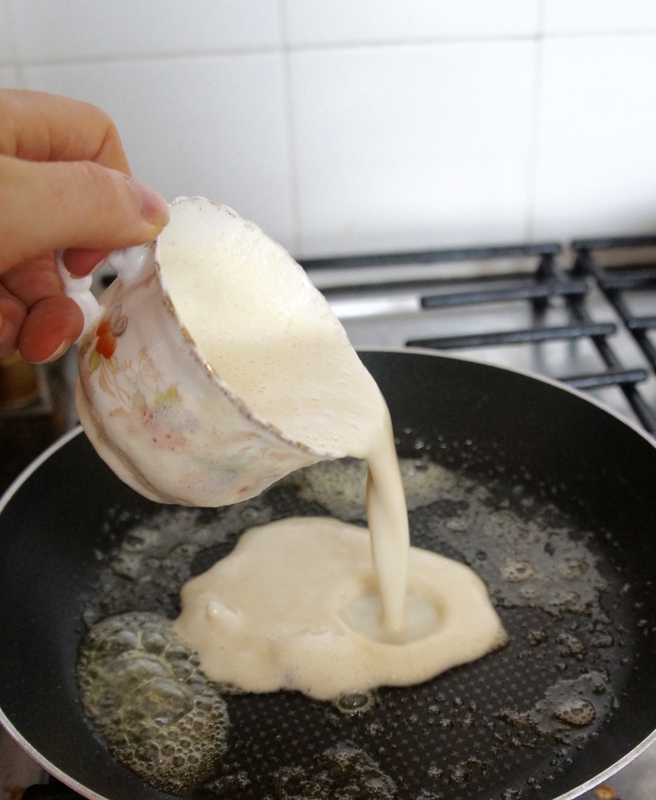 Once the pancake is nice and light brown on the side facing down, turn it over – or flip if you’re a seasoned pro!! 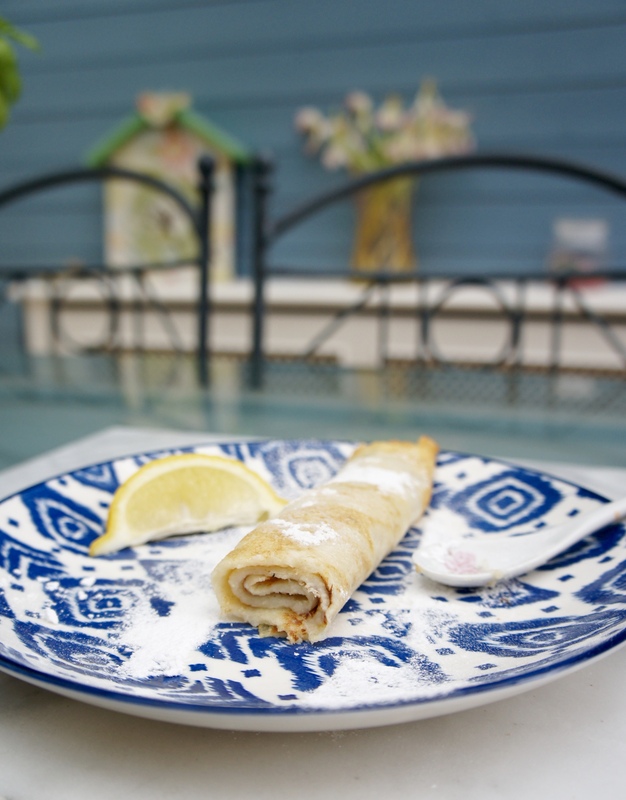 When your pancake is fully cooked, slide it carefully onto a plate and add toppings. As each one finishes cooking, we place it on a dinner plate which has been set over a pot of boiling water on the hob (low heat) and then covered with a normal pot lid to trap in the heat. It’s an old trick picked up from my wonderful Mother. The alternative being, that we either can’t sit down and eat together (no good at all! ), or we do eat together but the pancakes are cold (no thank you! ), so this little nugget of wisdom from my Mom is used each and every year without fail! As I said, I am a classic lemon & sugar girl at heart, but I definitely wouldn’t say no to some nutella, stawberries, maple syrup or raspberry jam from time to time either, the options are pretty much endless, so don’t hold back! 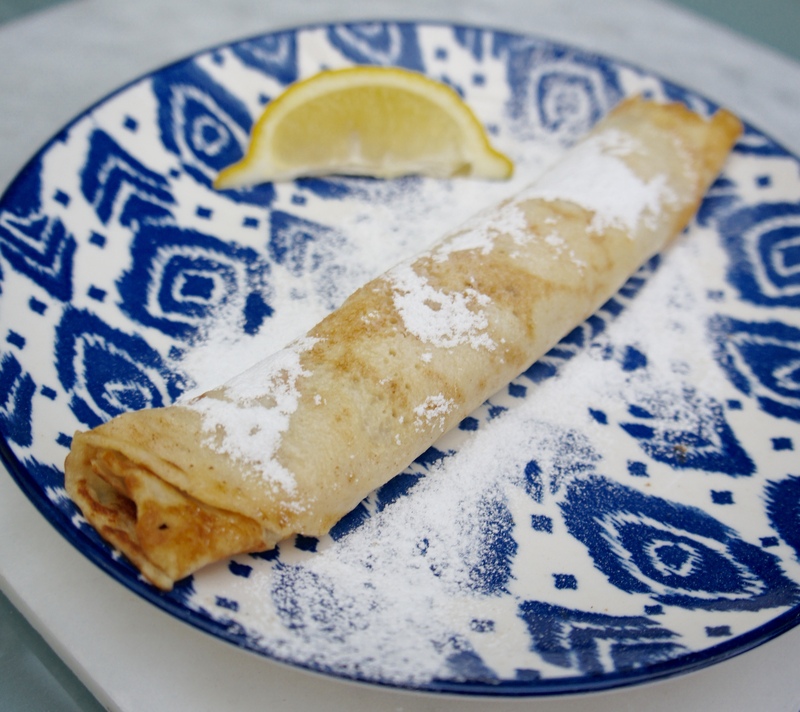 Let your Pancake Day flag fly high! Love this. 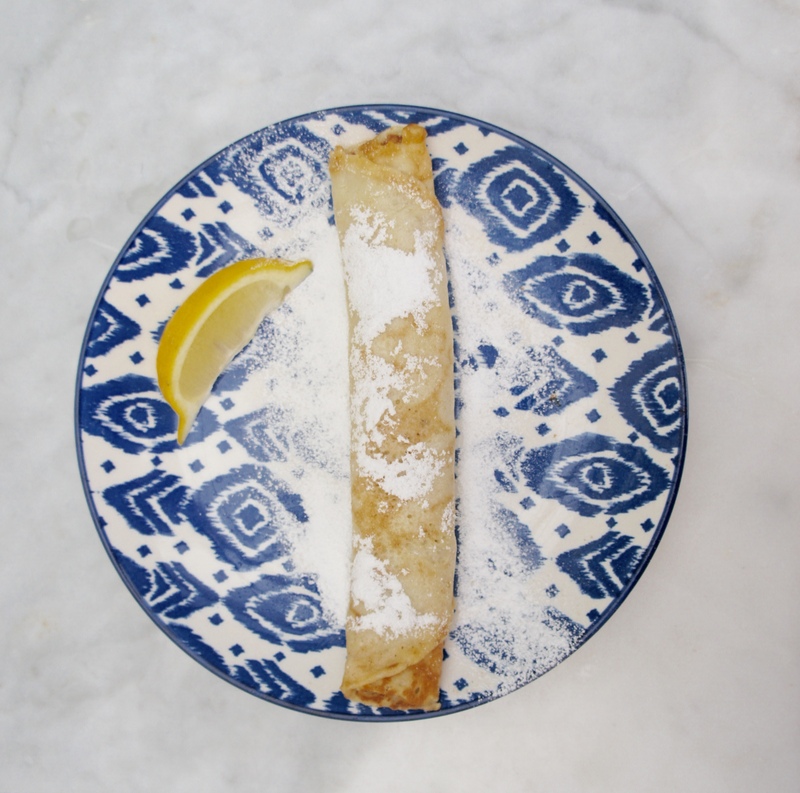 Lemon with pancake I never tried. I should make one! dang your mother is smart! 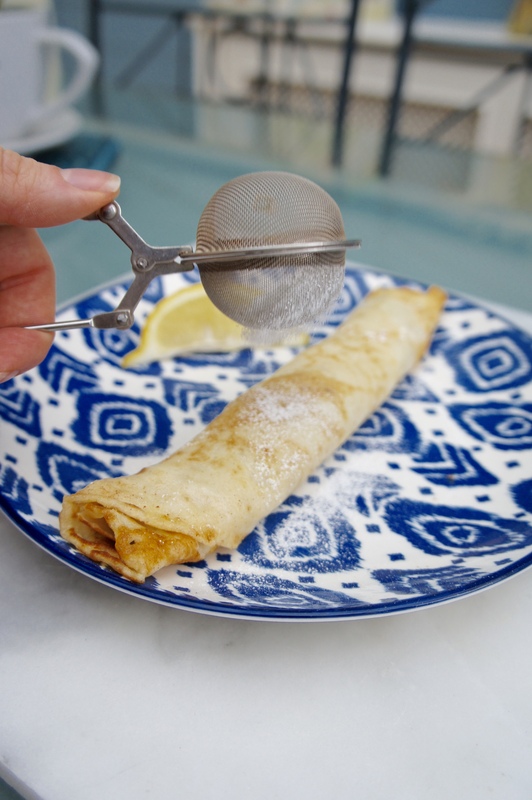 Sugar and lemon was my pancake fetish as a child, but now it’s melty butter and maple! These look delicious! 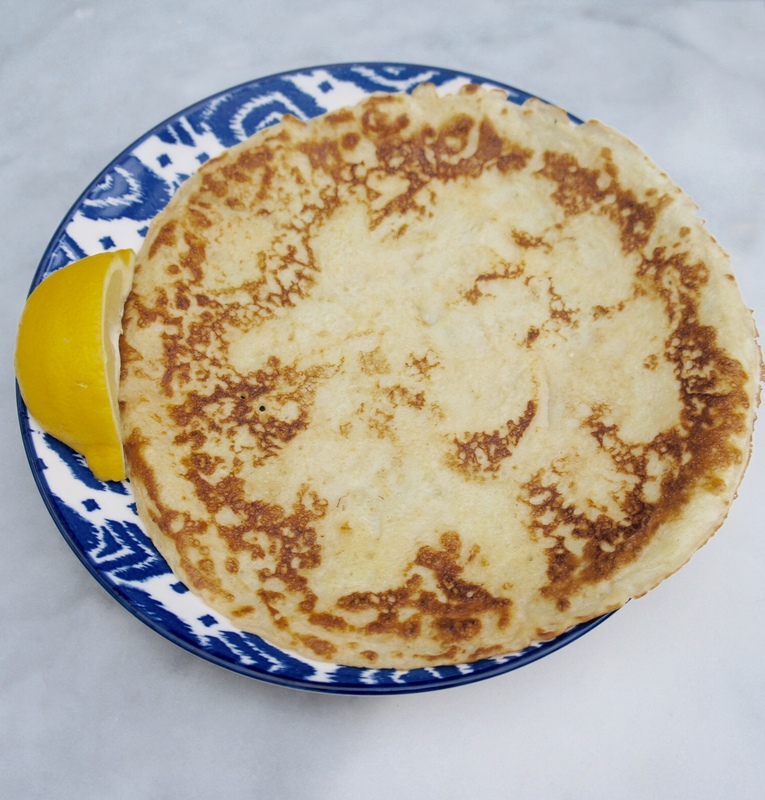 I love sugar and lemon juice on my pancakes – such a refreshing taste! I also love your plates!